Passion for perfection in an idyllic setting! 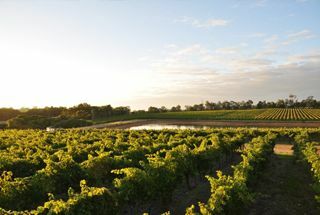 Situated in the famous South West region of Western Australia, our winery encompasses an idyllic coastal setting situated halfway between the renowned Margaret River and beautiful Busselton. 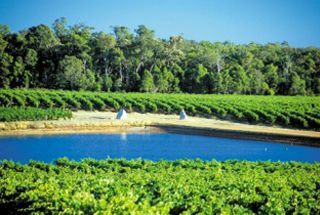 The area is nationally and internationally recognised for producing some of the finest wines in the world, with Celestial Bay’s wines being no exception. 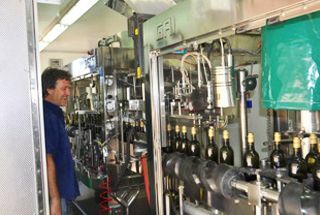 It now exports to 5 countries, selling wine across Australia and regularly receives awards within Australia and internationally. As a family, we are very proud of our product, and hope that you enjoy tasting our fantastic wines as much as we enjoy making them! Our passion for perfection started with an ambition to create beautiful wine to be distributed for the enjoyment of others throughout Australia and eventually, internationally. In 2000, our owners Michael & Kim O’Brien chose Margaret River as the place in which to establish Celestial Bay, and after eventually purchasing 210 acres, turned their dream into a reality. Although it was not all smooth sailing, a little blood, sweat and red wine was all they needed for motivation, and today Celestial Bay is operated based on core family values that allow us to flourish and remain a respected name in the wine industry. Having firmly planted themselves in Margaret River, and creating a brand that is synonymous with quality wine, Michael and Kim are proud to say that their quest for a “great drop” has been passed down the vine to their eldest son Aaron, who resides on the property. With the winery being his life passion, Aaron has also completed a bachelor of science in viticulture and oenology and after working at various vineyards far and wide, brings a wealth of knowledge and experience to the cellar. Over the past two years Aaron as manager has continued to reflect the family values instilled in him, and as a result, helped transform Celestial Bay Wines into a consistently performing quality vineyard. After starting as just a “little winery down south”, Celestial Bay and its friendly staff are proud to say it is both nationally and internationally recognised as a superb winery that selects only the most perfect grapes to be turned into quality wine. To be acknowledged on an international stage is an incredible accomplishment and is a testament to the O’Brien family’s passion for the process. It regularly receives accolades and awards and is currently exporting to 5 countries worldwide including the USA, China and Japan. To this day, Celestial Bay Winery is committed to distributing quality and contemporary wine throughout the world. Join us and experience our passion for perfection in every bottle!